Ezra Koenig, lead man of Vampire Weekend, is back with a bold new sound. The band's first single from the forthcoming album “Father of the Bride” is called “Harmony Hall”. 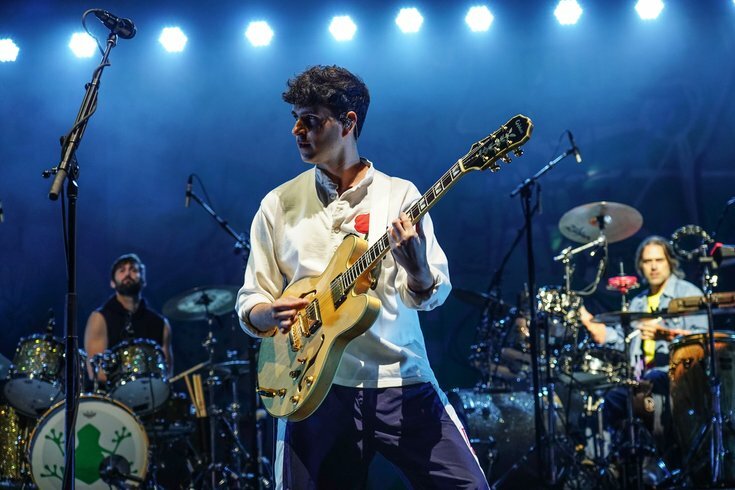 Vampire Weekend, one of the bands which helped define a new generation of music fans at the turn of the decade, are back. You’ve probably seen the band name across the internet over the years in plenty of memes about hipsters. They wore lots of boat shoes; they met at an Ivy League school; and they sang about wearing balaclavas. Yes, they probably deserved the ribbing. But Vampire Weekend also made great music and were critical darlings, which made band member Rostam Batmanglij leaving for a solo career and an ensuing six-year band hiatus so curious. Early on, things seem normal. The initial guitar riff, which pops up and dies down throughout the song, is a gorgeous earworm and the light-as-air backing is reminiscent of the band’s third album. So far, so good! Then, piano and tambourine and backing vocals rush in and everything breaks loose. Later still, a piano solo and a surprisingly lo-fidelity guitar solo trade the spotlight. A drum breakdown brings us back to that happy-go-lucky chorus. The guitar riff eventually returns as the song winds down in a beautiful outro. It’s a wild ride, and it sounds nothing like the Vampire Weekend of old, but it’s absolutely a ride worth taking. Really, it can’t be surprising that Vampire Weekend returned with a new sound. Lead man Ezra Koenig made a six-episode anime show for Netflix; appeared on HBO’s “Girls”; worked with Beyoncé on “Lemonade”; entered his 30s; and had a son. It was a busy six years. What that new sound is, though, remains a mystery for now. “Harmony Hall” feels like an acid trip collage made with complete abandon. Whether it’s an outlier on, or a harbinger for, the new album, it seems Vampire Weekend isn’t going to slide back into its old ways and preppy-clothing memes without putting on a show.